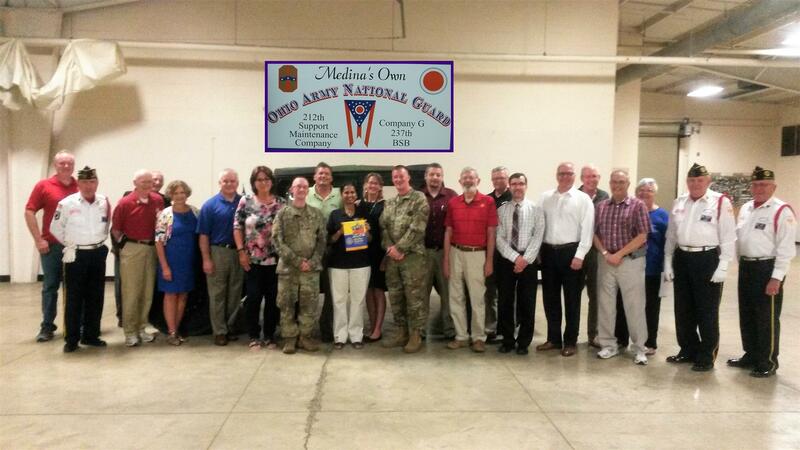 Good morning and welcome to the Governor John W. Brown Ohio National Guard Readiness Center. My Name is SFC Steve Callahan and with me is my office partner SSG Kevin Clark. Together, we work in partnership with the local schools, college campuses and employers. We are Education and Career Development Counselors proudly serving our community, state, and country. We want to take a moment to thank our many guests for being here this morning and personally thank the Medina Sunrise Rotary Members, Rotary District officers, and a few of our honored guests, including: David Lariviere for helping organize this ESGR event, the Hon. 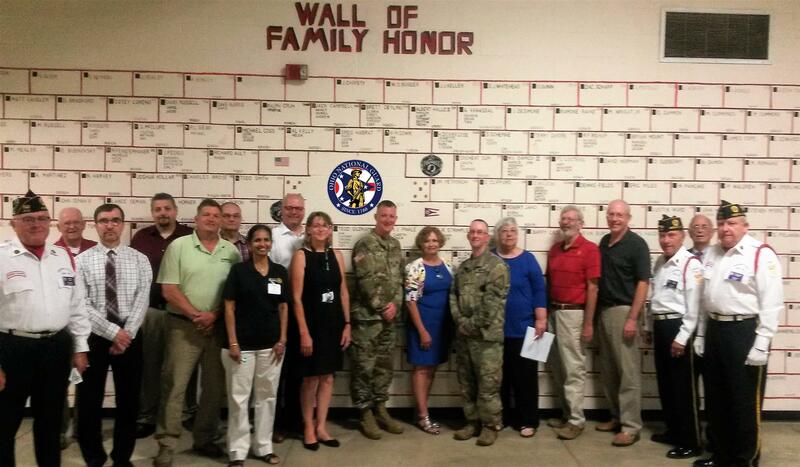 Judge Joyce Kimbler of Medina County, Navy Commander & our Medina County Auditor Mike Kovack, Colonel Dave Taylor - Commander of Medina American Post #202 and his Honor Guard, Colonel Reid Miller - U.S. Military Chaplain, Major Tim Bergman - Ohio Army National Guard, John Syme VP of Packaging Specialties, and Sarah Arend of the Cleveland Clinic. I would also like to ask our Medina County Schools' Superintendents to please stand and be recognized. Also, we would like to extend a very special thank you to the Honor Guard for their past and continuing service to our country and taking time out of their busy schedule to be here today to post our Nation's Colors. At this Time I am going to turn it over to SSG Kevin Clark for a snapshot of the history of the Medina Armory and how Medina's own "Citizen-Soldiers" have stood up to answer the Call of Duty to their community, the State of Ohio, our country, to areas of the world suffering from crisis or disaster, and the Units that have been stationed and deployed from here, forging stronger soldiers and a more engaged community. At the conclusion to our presentation, please join us for a tour of your Armory and a moment of silence at THE FAMILY WALL OF HONOR. Thank you for your support of the Guard and Reserves!